1.Studies on control mechanism of insect cell growth. 2.Study and application of Musca domesticaantimicrobial peptides. 3.Pheromone binding proteins in insects. 4.Advance in researches on semiochemicals of grasshoppers or locusts. 5.Advances in researches on induced plant resistance to insects by external-used jasmonates. 6.The feasibility of the controlling coconut leaf beetle (Brontispa longissima) with introducing natural enemies Asecodes hispinarum. 7.The interrelation between Chilo suppressalis and crops and its influencing factors. 8.Current status of monitoring strategies and control techniques forBursaphelenchus xylophilus and its vector Monochamus alternatus. 9.Feeding behavior of Ostrinia furnacalis larvae on transgenic Bt corn expressing Cry1Ab toxin. 10.Effects of the transgenic Bt cotton on population dynamics of the cotton leaf-roller Sylepta derogata. 11.A comparative study on EST isozymes of the genus Eurydema from Inner Mongolia. 12.Effects of five host plants on development, reproduction and activities of esterases of the beet armyworm (Spodoptera exigua). 15.The biological characteristics of Blaps femoralis. 16.The effect of the high temperatures on the development of eggs of pine caterpillars, Dendrolimus tabulaeformis. 17.The olfactory responses of Coptotermes formosanus and Reticulitermes flaviceps to three baited insecticides. 18.Host preference of greenhouse whitefly (Trialeurodes vaporariorum) for several horticultural plants in greenhouse. 19.Influence of temperature and host plants on interference responses of Pediobius foveolatus. 20.The optimal parasitoid-host ratio of rearing Scleroderma guani using Tenebrio molitor. 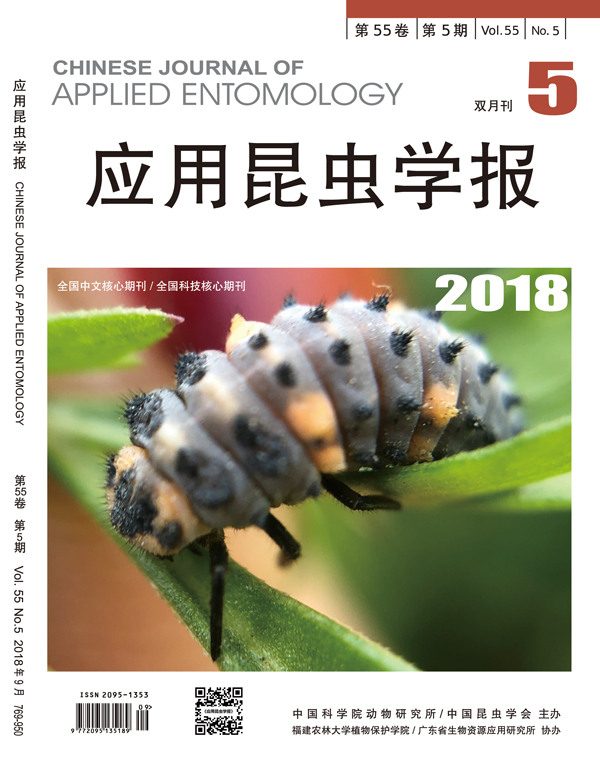 21.Species diversity of lady beetles in the suburbs of Nanchong City, Sichuan. 22.The antibacterial activity of the haemolymph and the purified haemoprotein from Asporgopus chinesis. 23.Bionomics of two key pests Barathra brassicae and Tetranychusviennensis in poppy(Papaver somniferum). 24.Caste ratios of the termite Coptotermes. 25.Using the Jiaduo insect killer lamp to monitor and control the tea pests. 26.Gluing techniques of gold wire electrode to Bemisia tabaci in electrical penetration graph. 27.A new clipcage for whitefly experimental studies. 28.A proposal to stop using the insect order name “Homoptera”. 29.Estimation and expression of insect diversity parameters. 30.Identification of red imported fire ant and important related species. 31.Identification of the western flower thrip(Frankliniella occidentalis) and its related species. 32.A new invaded beetle, Agrilus planipennis in North America.